Versailles, OH – In the 1960s, Dixie Distributing & International was the largest supplier of motorcycle parts and accessories in the USA. A pioneer in the motorcycle parts world, Dixie`s Founder Harry Denune got his start acquiring parts in 1947 with a purchase of motorcycle surplus parts from the U.S. government after WW2. This deal began a 70 year period of large buyouts from 1940 until the 2000`s. Similar to Dixie Distributing & International, BMI Karts & Supplies is a global leader in supplying parts for go karts, drift trikes, mini bikes, ATVs, UTVs, and more. Like Harry Denune was to motorcycles, BMI Kart`s Founder Steve Barhorst has specialized buying out large inventories of parts within the go karting and hobby vehicle market. Barhorst started in the 1990s as a local CNC machine shop owner who made a variety of parts for businesses, including go kart parts. Always pushing forward, Barhorst would eventually add a website and continue to attain more parts through buyouts. Two decades later, BMI Karts & Supplies is the #1 ranked company you`ll find when searching Google for ‘Go Kart Parts.’ The website receives over 170,000 monthly website visitors and works to supply a world class customer service while supplying thousands of parts to people across the world. With the recent bulk purchase of Dixie Distributing and Dixie International (Dixie) parts, BMI Karts & Supplies is looking forward to expanding into a new market with classic motorcycle parts. 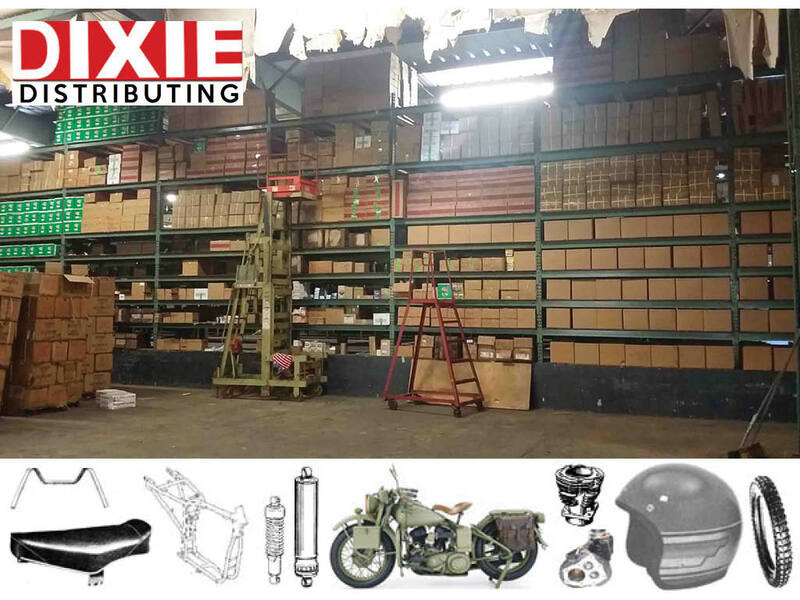 BMI is currently inventorying all the Dixie parts which is a major project that includes finding new warehouse space, identifying 80,000 square foot of new inventory, listing motorcycle parts on our website, and marketing them. BMI is open to working with dealers as it moves forward with the addition of Dixie Distributing & International Parts. For Dixie Dealers interested in acquiring motorcycle parts, please reach out to BMI Karts & Supplies by phone at 937-526-9544, or by email at steve@bmikarts.com.